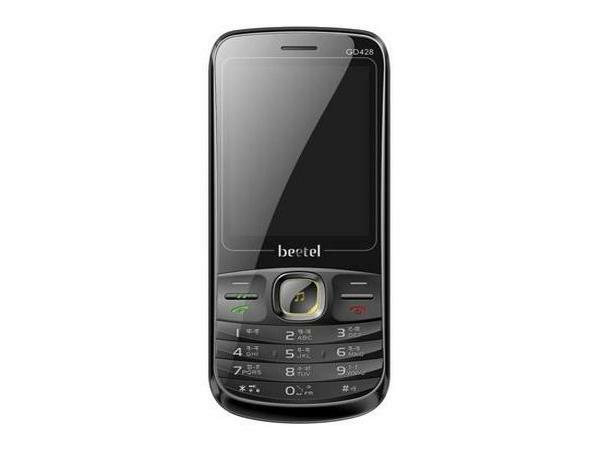 Beetel GD428 could be a right choice to anyone who has been considering buying a multimedia phone with dual sim capability. Moreover, the device is available at a low-price when compared to other handsets of its range. Powered by an enduring battery, the handset could well be used for endless hours. The phone sports 2.4-inch Screen Display with 240 x 320 pixels resolution. The device also supports 8 GB + 2 GB dual expandable memory cards. The handset measures in 116.5 x 49 x 15.3mm dimension and weigh just 66.6gms. Its preinstalled Music Player enables the user to enjoy listening to music on the go. The connectivity options include Bluetooth, USB, GPRS, and WAP Browser. In addition to all these, there are loads of latest preloaded multimedia applications which offer an outstanding functionality every time. Its high-stamina LI-ion 1800mAh battery provides an incredible talk time of up to 12 hours and standby time of up to 900 hours. So; when are you buying easy-on-the-pocket Beetel GD428?